In the age of Industry 4.0, there are so many buzzwords being thrown around the world of manufacturing that it’s difficult to keep track of them all. What’s the difference between Industry 4.0, IIoT, and Digital Transformation? What about Artificial Intelligence vs. Machine Learning? Condition Monitoring vs. Performance Monitoring? Is the Digital Twin your company’s evil replicant or a new way to approach continuous process improvement? 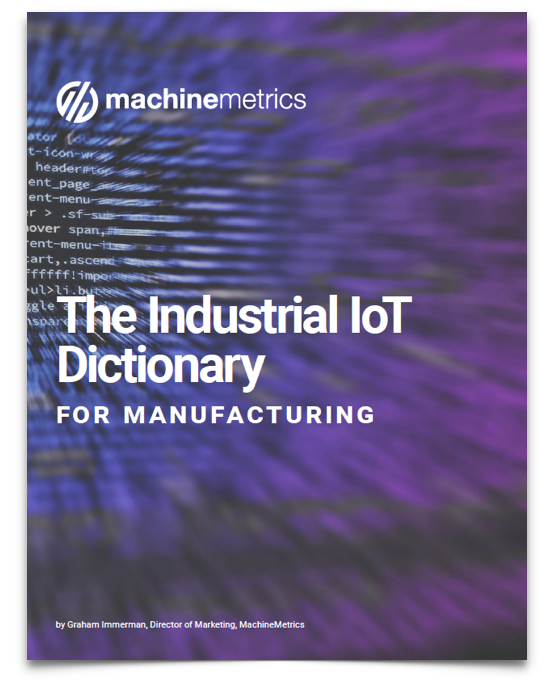 That’s why we figured it would be helpful to create “The MachineMetrics IIoT Manufacturing Dictionary”: a reference resource for those seeking definition or better understanding of any buzzword, keyword, or term pertaining to the new age of manufacturing. Fill out your information in the space provided, and we will email you (at the address provided) a PDF of the dictionary immediately. Fill out and receive case study pdf via email! Get started with the machine monitoring and analytics today.